To run a project on the engagement of Asian people in arts and dementia projects. To support the costs of a symposium on the Dance for Parkinson's initiative. Towards UK involvement in a gathering of Irish artists on arts and older people. To make a film called "A Dead Good Life" led by older learning disabled artists. To support the Celebrating Age Fund. 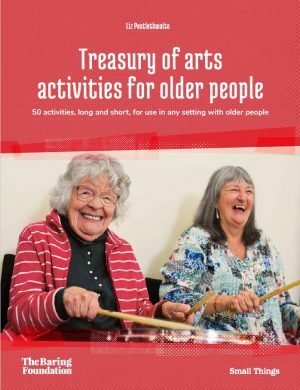 To support partnership work and artist exchange on arts and older people in North East Asia and the UK. To part fund the cARTrefu programme of artists in residence in care homes in Wales.